It can be hard to know what to wear these days. It’s freezing one day and suddenly feels like spring the next. However, technically speaking, it is now spring. The arrival of spring means its time to store away our puffer coats and chunky turtlenecks in lieu of some lightweight jackets and airy knits. To navigate the tricky in-between-season dressing, we decided to take a look at how our favourite Parisians approach winter-to-spring transitional dressing. 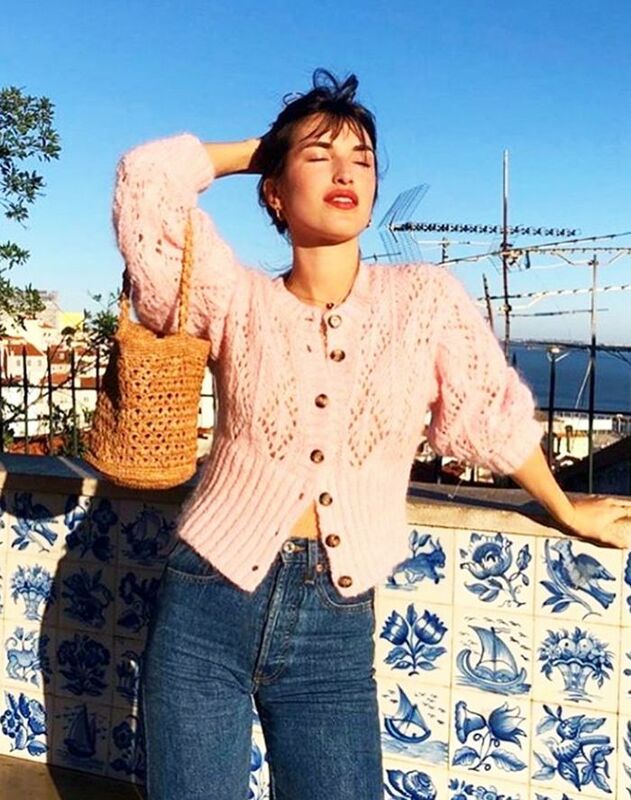 One outfit formula that popped up on almost every French girl's Insta feed is the simple yet charming cardigan and jeans combo. Trench coats are also back in full force—ready for those April showers. And the perennially chic combo of a midi skirt, knee-high boots and sweater is a classic and foolproof outfit combination that works perfectly as the temps slowly start to rise. Scroll below for some cool spring outfit ideas all the cool girls are wearing in Paris. A go-to French-girl favorite for spring. A cute cardigan plus jeans exudes effortless Parisian charm and is also appropriate for the warmer temps. French girls have this outfit formula in their back pocket when they want to look instantly chic. The boots and sweater will keep you warm in between seasons. As always with French style, the simplest outfit formulas can often look the most striking. A chic black top and straight-leg jeans look even better when paired with spring-ready mule sandals and an of-the-moment baguette bag. French muse Chloé of Loulou de Saison shows us that a boilersuit is the perfect easy-breezy spring outfit. Keep the look polished with sleek white heels, and layer a lightweight top underneath to add dimension and warmth. Trench coats are to spring what gin is to tonic. The lightweight raincoat is a staple in practically every French woman's spring wardrobe. Pair it with a classic sweater-jeans-and boot combo for an unequivocally polished look. We wouldn't have thought the neon green trend would be popular with the Parisian fashion crowd, however, we've seen several French influencers pairing this ASOS neon slip with a simple knit. 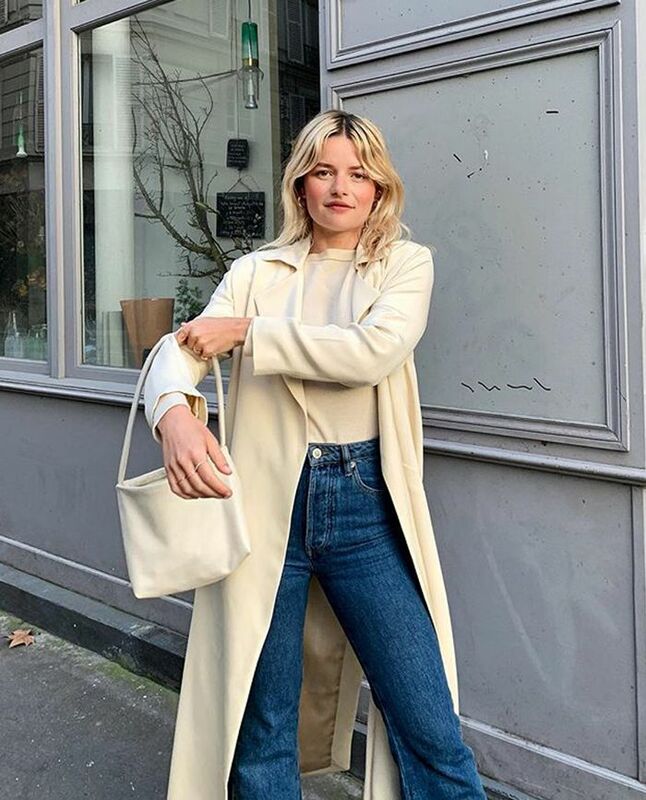 Jeans and a checked blazer is a typically Parisian outfit, however, fashion girls like Marissa of Rue Rodier are updating it with white or ecru jeans and a belt looped over the blazer. Up next, see our guide to the key trends for spring/summer 2019.